Addiction is not just intellectual, behavioral, or emotional; it is a combination of these. No matter how your addiction journey began, it slowly permeates every corner of your life. Sidelining physical and emotional health, family relationships, social connections, spirituality, and more, drugs and alcohol slowly become the sole focus of your universe. At Complete Harmony, we believe in accepting clients as they are while challenging them to reach for more. Our drug and alcohol rehab integrates cutting-edge holistic therapies to ease the discomfort of withdrawal and treat the whole person: mind, body, and spirit. Holistic healing methods are proven to be effective not only during detox, but throughout every stage of rehabilitation. Helping clients overcome the trauma, mood disorders, and triggers that led them to substance abuse in the first place, our addiction specialists recommend holistic modalities that offer stress relief, pain relief, cravings management, and improved well-being. Energy & vitality. Over time, addiction leads to the neglect of healthy eating, exercise, and other practices. A focus on healthy eating, physical activity, and mindful meditation restores the mind, body, and spirit. Pain relief. Whether you began using drugs to dull emotional or physical pain—or you are suffering from addiction-related pain—holistic therapies like massage, bodywork, acupuncture, and chiropractic care offer natural pain relief. Many of our clients continue to benefit from these healing therapies long after they have completed early and active recovery. Spiritual growth. 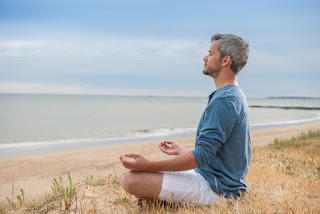 Whether you believe in a Higher Power or simply need to reconnect with your inner self, holistic therapies like meditation are calming to the mind and spirit. Many clients tell us that as they connect with something outside themselves, they feel a sense of empowerment that they've never experienced. One of the things that Complete Harmony does best is align treatment programs with our clients' personal beliefs, values, and lifestyles. Through a blend of traditional and complementary therapies, we create customized treatment and relapse prevention programs that are tailored to your unique needs. Each of our holistic modalities is rooted in evidence-based practices and empowers you to get to the root of your addiction behaviors while taking control of the healing process.